Looking for a good book? Check out our Staff Picks! Click on the book image for a link to the Upper Hudson catalog to request it. Additional “Staff Picks” are available on the New Book shelf here at the library. Captivating YA mystery that follows a high school student to a prestigious Vermont boarding school. 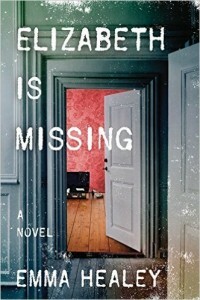 She is determined to solve the schools famous murder mystery which occurred in 1936. The story goes back and forth from present day to 1936. A fun “who dunnit”! The sequel will be published in 2019. George and Willie Muse spent years as a circus sideshow act and their mother spent years trying to find them. 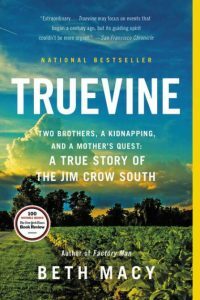 An interesting look in the dark corners of both the circus, the Jim Crow south and the lives of those born with physical differences during the late 1800’s/early 1900’s. 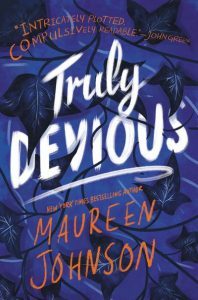 A simple, amusing mystery with an accident prone amateur detective trying to help her sheriff brother clear their mother of murder charges. A good summer read. Since he was five, Lazlo Strange has been obsessed with the mythic city of Weep. Now delegates from the city led by a person known as the Godslayer have arrived looking for help for their city and providing Lazlo with a mean to chase his dream. A beautiful romantic fantasy, beautifully written. When a young woman goes missing, Mattie and her K9 partner Robo are called into search as a storm brews. They find the body but how and why the woman was killed is a puzzle. 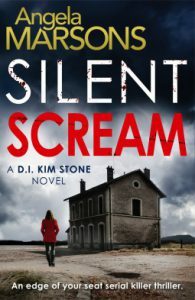 An engrossing mystery with tension and excitement, plus characters to root for. 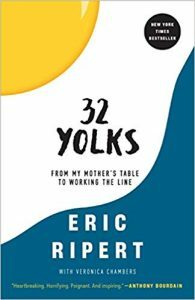 Eric Ripert shares stories of his childhood in the south of France. The good, the bad and the ugly. From there, the reader follows him through the kitchens of the most elite Michelin rated restaurants. A book not just for foodies, but for anyone who enjoys reading about adventures of hard work, perseverance and following one’s own path to greatness. 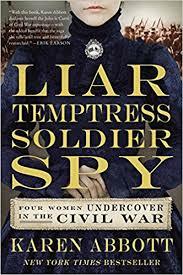 True account of four women who risked it all to help their respective sides in the Civil War. This fast paced books reads like a novel! These women were truly fascinating. 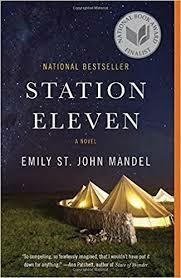 An engrossing novel of a pre and post apocalyptic Earth. 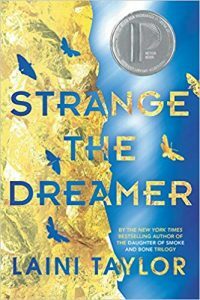 The story follows a central group of characters and reveals the strange twists of fate that connect them across two decades of art and survival. Haunting, yet hopeful! 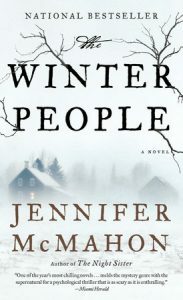 In a small Vermont town known for its strange disappearances of locals, 19 year old Ruthie awakens one morning to find her mother gone. 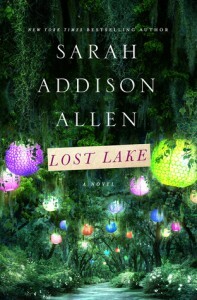 As she works to unravel the clues, she comes across other mysteries. 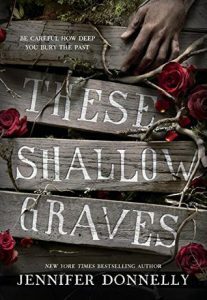 A strange and haunting mystery–delightfully creepy. Don’t be fooled by the Juvenile label! 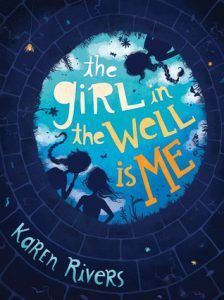 This book begins with Kammie finding herself stuck in a well. If it sounds familiar, it was inspired by Baby Jessica. In this fictional work, Kammie finds time to figure out why she is who she is, and more importantly, who she wants to be. Riveting, captivating and a bit eerie, you will be intrigued by this book! 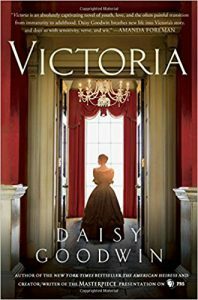 Enjoying the PBS series “Victoria”? 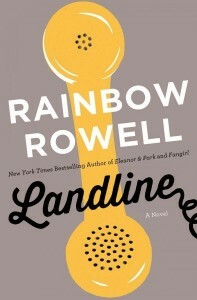 This is the book the series is based on! 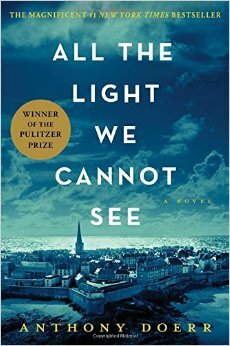 Which is better–the book or the PBS series?? Celestine North is a model citizen living a perfect life. Until she impulsively helps a Flawed man and breaks the law. Now she could end up in jail, or worse, found Flawed herself and branded. 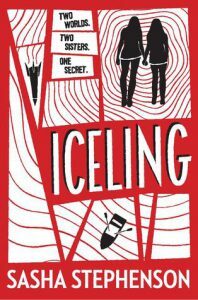 A compelling dystopian thriller that’s hard to put down. 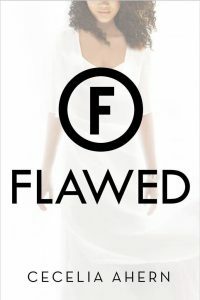 Good for fans of Lauren Oliver’s Delirium or Hillary Jordan’s When She Woke. 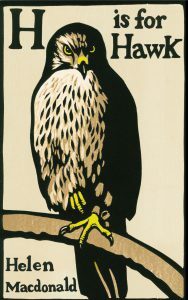 A meditative look at grief, hawking, and the bonds between humans and between humans and animals. 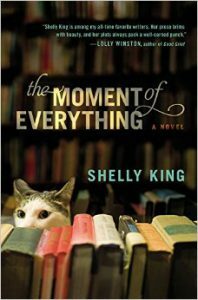 Interesting blend of memoir and nature writing. A captivating stream-of-consciousness story about sisters, family and the bonds of love. How far would you go for someone you loved? 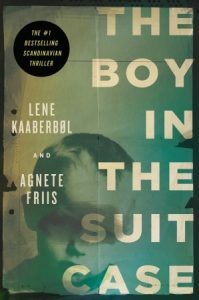 The first in a suspense series by a pair of Danish women-an unusual scene begins the fast paced action-a small boy, naked but alive, is found in a suitcase in a train station locker. Two people have been murdered and their only link is Crestwood–a home for troubled girls. 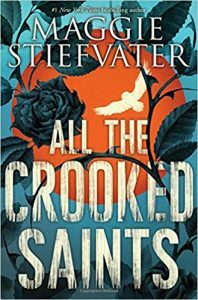 Det Inspector Kim Stone must figure out who wants former employees of Crestwood dead and why while confronting demons from her own past. A good mystery–it keeps you guessing until the end! Two young women are found murdered and the local DA thinks he has his man, but Sheriff Alex Banks isn’t so sure. When an attempt is made on a neighbor of one of the victims, the Sheriff knows the real killer is still out there waiting to strike again. 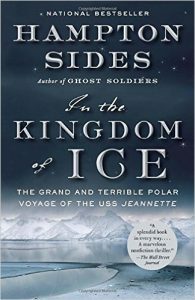 An exciting and tragic book that charts the adventure of the crew of the USS Jeannette as they searched for the North Pole in the 1880’s. A true story that reads like a novel. Would you like to reduce stress, sharpen memory, be more productive? 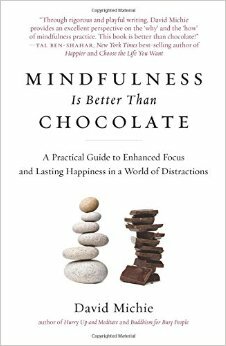 Using contemporary science combined with Buddhist teachings, author David Michie helps us to accomplish all this and more…such as even better tasting chocolate. 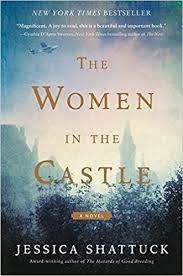 A thoroughly engrossing historical mystery set in 1668 Bamberg, Germany. People are disappearing, body parts are being found in the city and citizens are reporting strange sightings. 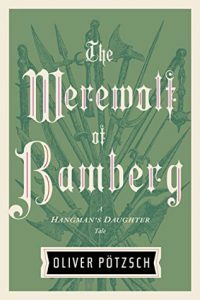 Is there really a werewolf on the loose or is something else going on in Bamberg? Both informative and entertaining. 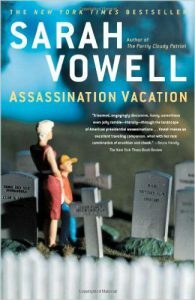 Sarah Vowell takes us on a tour of American Presidential assassinations as she visits any and all sites relating to the events. An excellent book full of wonderful characters. 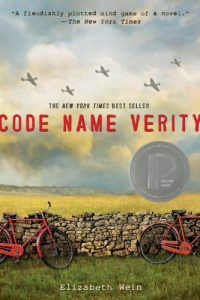 The story introduces the reader to two young people growing up on separate sides of WWII. They are slowly being drawn together as the story unfolds. Beautifully written–could not put it down! 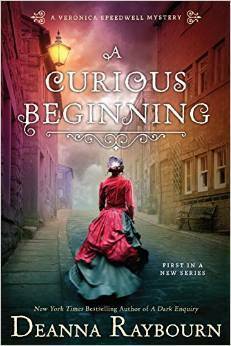 Historical mystery set in Victorian England. A new series featuring an unusual heroine with very non-Victorian views. 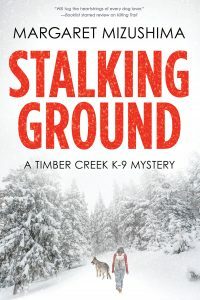 A fun, fast read with an intriguing mystery. A darkly amusing look at parenthood, relationships and the secrets we all keep. A quick read that we could not put down! This novel follows two young women who have become best friends through their war work for Britain. The book is full of harrowing adventure, rich historical details and several unexpected plot twists. Definitely worth checking out! A light, simple summer read. 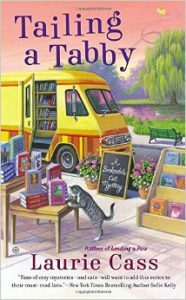 Who can resist cats, bookmobiles, lakeside summers topped off with a mystery?? 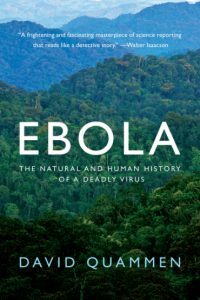 Excerpted and adapted from Quammen’s 2012 book Spillover, it includes additional material regarding the 2014 outbreak. A fascinating and timely read! A funny, romantic novel about a young woman who finds her calling while trying to bring new life to a local used book store. Sweet, funny, thoroughly enjoyable. The suspenseful conclusion to the stories of an unusual hero. 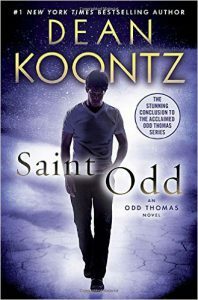 Odd Thomas has returned home to Pico Mundo to prevent tragedy from destroying everyone there. With only his wits and his psychic intuition to guide him, will he succeed? Full of humor and hope. Lawson, also known as The Bloggess, has a bizarre and twisted sense of humor. 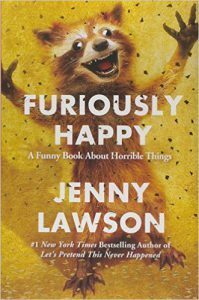 This book combines hilarious and off-beat tales from her life interspersed with dark explanations of how she lives with severe mental illness. 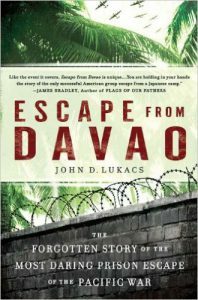 A well-written, impressive story of ten American prisoners of war and two Filipino convicts and their daring escape from one of Japan’s most notorious prison camps. A great resource for expecting parents who want to save money while they prepare for their little bundles of joy . Includes tips on and reviews on all sorts of baby products. 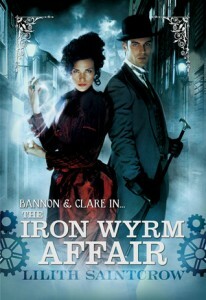 In an alternate steampunk (heavy on magic-light on steam) version of London, sorceress Emma Bannon and mentath Archibald Clare attempt to find out who is pulling the strings behind a conspiracy against Britannia. 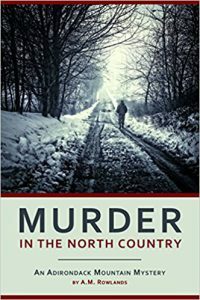 Interesting mystery with an intriguing Holmes-like character. A witty look at contemporary marriage. 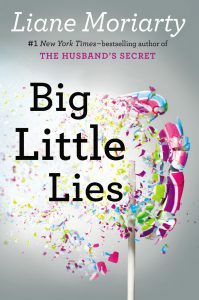 Georgie McCool loves her husband Neal but with everything going on in their busy lives–is love enough? Fast-paced read with an intriguing plot. When Grace finds the scar-faced man who killed her mother, will she be able to stop him from killing again? Or is Grace really crazy? An elderly woman descending into dementia embarks on a desperate quest to find the best friend she believes is missing. Her search for the truth will reach back through the decades and have shattering consequences. Poignant, haunting, gripping read. 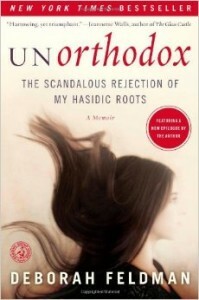 A shocking look into the lives of women in the insular Hasidic community. 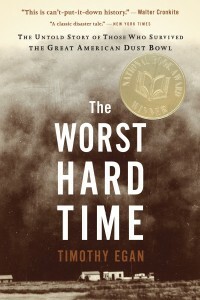 A fascinating look at the causes of the dust bowl, told through the stories of the people who lived through it. An engrossing book. Another winning entry in the Flavia de Luce series. This time the irrepressible nearly 12 year old Flavia faces a particularly personal crisis when her long lost mother’s body is returned from the Himalayas. An engrossing read: illuminating the harsh realities and injustices where the white and Native American worlds intersect. An unlikely friendship between an 89 year old white woman and a black single mom leads to a road trip and the revelation of a long ago forbidden love and its tragic consequences. In the not-too-distant future, the world is ruled by competing fast food factions. Leonard, a Neetsa-Pizza employee, contently mans his complaints hotline until he starts receiving from Marco a thirteenth century explorer. A fast paced, comic adventure along the lines of Douglas Adams and T. Pratchett. Local author Mahoney’s first novel takes a poignant look at how individuals cope with being the victims of and the cause of tragedy–a novel of loss, atonement and forgiveness. A Coffeehouse mystery. 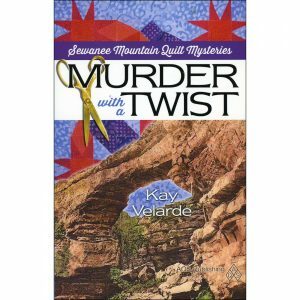 Part of the foodie/cozy mystery genre, Coyle provides a traditional mystery (without excessive gore or violence) and enough red herrings to keep it interesting. A quick, fun read followed by tantalizing recipes.